Tested and unsurpassed also in the field of military use! What is good has got one enemy – that which is better. This is the reason why Robla Solo was developed further and replaced by Robla Solo MIL. 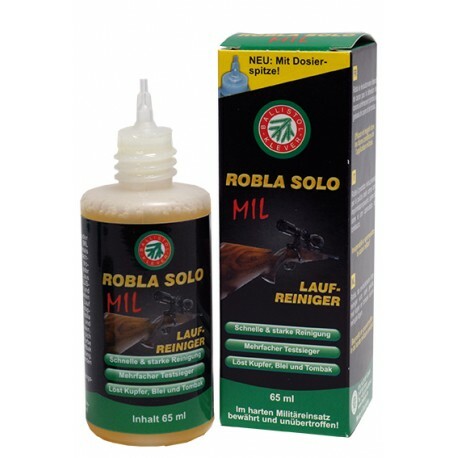 On the basis of the excellent results of a series of tests performed by the German Army’s Institute of Military Research, there followed the decision to use Robla Solo MIL even with special units of the armed forces. Robla Solo MIL consists of very special compounds including ammonia. This formula has not only the power to dissolve any residue of copper, tombac and zinc but also lead, the number one enemy to the precision of a gun. Steel, chrome and nickel are not attacked by Robla Solo MIL. 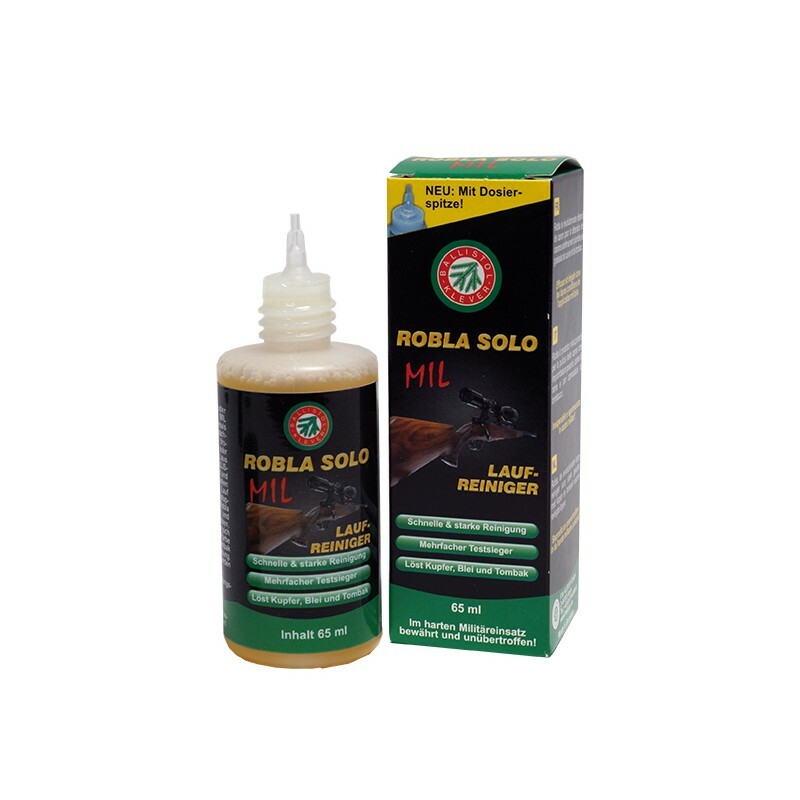 In case of heavy metal residue it is a good idea to put Robla Solo MIL into the barrel, which must be plugged on one side by means of cork or gum stopper, and then wait for a couple of hours, best overnight, until Robla Solo MIL has done its job. If there is just slight residue to be removed, it suffices to pull a tow (Sucol, Sucolin or Sucolin Extra) or a felt stopper soaked with Robla Solo MIL through the barrel several times. Further valuable and important hints are to be found in our Guide To The Care Of Weapons or in the leaflet included in the package.